June 8, 2010 - Two New Jersey men have been arrested and charged in a federal Criminal Complaint with conspiring to kill, maim, and kidnap persons outside the United States. The defendants, United States citizens Mohamed Mahmood Alessa, 20, of North Bergen, New Jersey, and Carlos Eduardo Almonte, 24, of Elmwood Park, New Jersey—were taken into custody at JFK International Airport in New York on Saturday. The defendants, were planning to take separate flights to Egypt on their way to Somalia to join designated Foreign Terrorist Organization Al Shabaab and wage violent jihad. 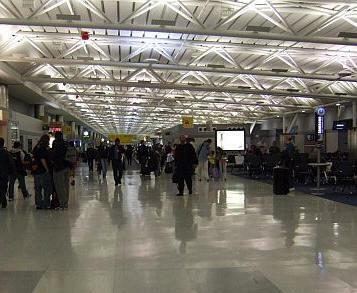 Waiting for the defendants at the airport was a law enforcement team holding arrest warrants issued by the United States District Court in Newark. The defendants appeared on Monday before United States Magistrate Judge Madeline Cox Arleo in Newark federal court. In October 2006, the FBI received a tip concerning the defendants’ activities. As the investigation continued, an NYPD Intelligence Division undercover officer (UC) recorded numerous meetings and conversations with them, during which the defendants discussed and prepared to carry out their plan. On April 25, 2010, Almonte stated that there would soon be American troops in Somalia, which was good because it would not be as gratifying to kill only Africans. The defendants also watched and played for the undercover officer numerous video and audio recordings that promoted violent jihad, including lectures by Anwar al-Awlaki and videos featuring attacks by Al Shabaab and other terrorist groups. “I want to commend United States Attorney Paul J. Fishman and his assistants, along with the Newark JTTF and our other Federal and New Jersey partners who worked closely with the NYPD’s Intelligence Division in this important case. As in gun trafficking and narcotics investigations, the NYPD cannot acknowledge publicly individual undercover police officers who have infiltrated suspects. Nonetheless, we are indebted to them. Even when individuals plan to support terrorist activity abroad, we remain concerned that once they reach their foreign destinations they may be redirected against targets back home, as we’ve seen in the past. We are also concerned that should they remain undetected and fail in their foreign aspirations that they might strike domestically, as was discussed as a possibility in this case. The New York City Police Department has long been concerned about the threat posed by individuals radicalized in the United States, and welcomes its emphasis in the President’s National Security Strategy published last month,” said Police Commissioner Raymond W. Kelly. If convicted of the charge, the defendants face a maximum potential penalty of life in prison.